Not enough can be said on how beautiful this anime is. The characters and their relationships shine through here more than a lot of other animes I have watched. The bond between Lute and Cheval is something truly special, and worth watching the series for that alone. The story is absolutely tearjerking in some places, after the first 12 episodes the show really kicks into high gear and you'll find yourself glued to the seat as you watch characters grow, change, and learn about their pasts. A truly amazing show for anyone a fan of stories about love, friendship, and what they can overcome. I don't understand why people dislike this because its not blood everywhere killing everything that moves like main series games, this game has the potential to get another generation of monster hunter fans once the game comes out this fall give it a chance. Quite frankly nothing really stands out, and far more negatives than positive. Story is a meh. Because it's childish doesn't mean it can't have fun story and character. For example Troll Hunter is a fun show because character are all very interesting with great story development, while still being a children's story. At times Nivirou or whatever gets extremely annoying, i don't get why some of the character around Cheval are acting that way. The older riders are completely useless since the beginning, which makes no sense. I believe they basically used the name "monster hunter" to attract audience. Not sure why they approached it this way. Quite frankly, i would have taken Monster Hunter Orage and made it full blown anime that goes much further into detail. That would have been awesome, if you ask me. Over all the show is made for younger viewers and it is fairly predictable to what will happen next. But it's a good show to watch to see a different perspective of the monster hunter series. To be honest I like all the game reference made in the show. I think what throws me off most of the show is the name since I think of monster hunter as... Well... Monster HUNTER. But at least I know what the show is based on. As someone new to the Monster Hunter series I started watching this not knowing anything about it well it's clear that this anime is for the 8 to 12 age group but it did interest me enough to watch all the episodes up to this review (28) . First off the bad for me was the cat companion of the main character it was annoying and useless and this anime would have been better off and gotten a four star rating without it. It was predictable in a lot areas but then again it wasn't made for older anime fans so I think the target demographic wouldn't notice its flaws as much but I did. I enjoyed the friendship between the main characters and the dinosaur like monsters the CGI didn't bother me but was noticeable it is pretty standard fair for this type of series and I'm sure the target audience would like it of course theirs no fan service or gratuitous blood or violence. Would mildly recommend it for its intended audience. I'm a huge MH fan and I'm hoping to get into stories for when it releases in the west, so I started watching this. Three episodes in, I'm enjoying it, but not that much. The monster animation isn't too bad. With some, it looks fake as hell (*cough* Azurous), but with others, it works. I like the story and most of the characters. I really like the concept of riders and how it is executed. However, what holds this back for me is some absolutely terrible main characters. I mean, I like Lilia and Cheval, but these people are overshadowed by Navirou and Lute, two characters I can barely stand to watch. Lute is absolutely stupid. I find it very difficult to root for him as his actions are never justified: every action he makes is out of his own stupidity. However, if you think Lute is bad, you have to cope with cat-Satan Navirou. Oh my God is he annoying. Navirou is a jerk to everyone, never says anything nice, and like Lute, I struggle to root for him because there is absolutely nothing likeable about his character. Also, this show causes MH fans (including me) to question their sanity in playing Monster Hunter, and tries to turn us against hunters, which is pretty stupid, seeing as "Monster Hunter" is in the title, and it says that the games that lead to this game are morally wrong(?). Just because I wrote a lot about what was bad doesn't mean I'm not enjoying it, I'll catch up on the episodes, but I don't feel "into it", and I probably won't unless they kill off Navirou or something. Watch it if you want, I won't tell you what to do because I'm honestly in the middle of good and bad. It's just alright. 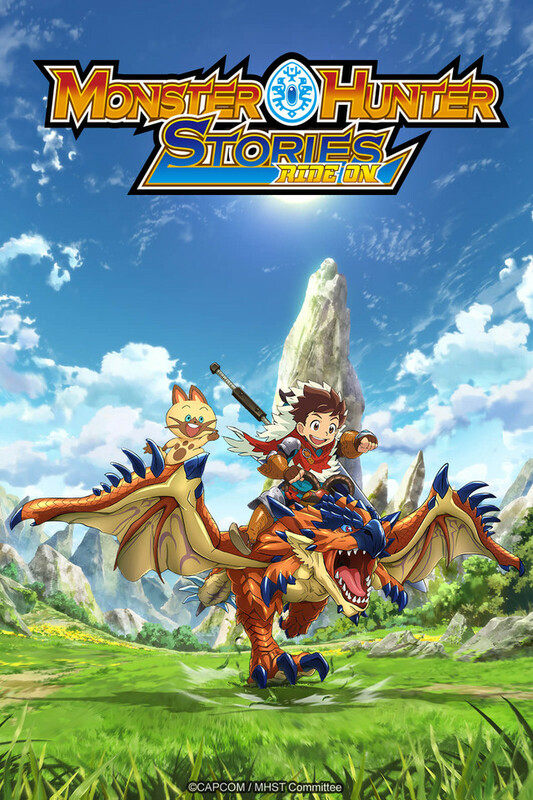 obviously its for the monster hunter stories game where you ride the monsters. but people are complaining that they should have just made a anime for the main series. the main series however has no real story and coming up with an original story would have presented alot of problems. i enjoy this series as it is very light hearted which is what monster hunter has always been. its never been a dark or gritty series, its always been comical and action oriented. the 3rd episode they talk about the difference between hunters and riders which is great because since mh1 i always wondered why no one tried to tame some of the bigger monsters or anything besides aptonoths and popos. honestly i hate the felynes face, and he clearly serves to be annoying as everyone always messes with him. but i really dont mind the monsters being 3d and i think this story is a interesting look at the monster hunter world. Not the most riveting or interesting anime. If you're a fan of Monster Hunter, you probably won't enjoy this. The monsters are not animated very well, the dialogue is cringey, and overall, it wasn't a good experience. If you have children or are under 10, you'll probably like this? Otherwise, not a fan. Due to licensing issues, we do not know when episode 49+ will be available. We apologize for the inconvenience and thank you for your support.